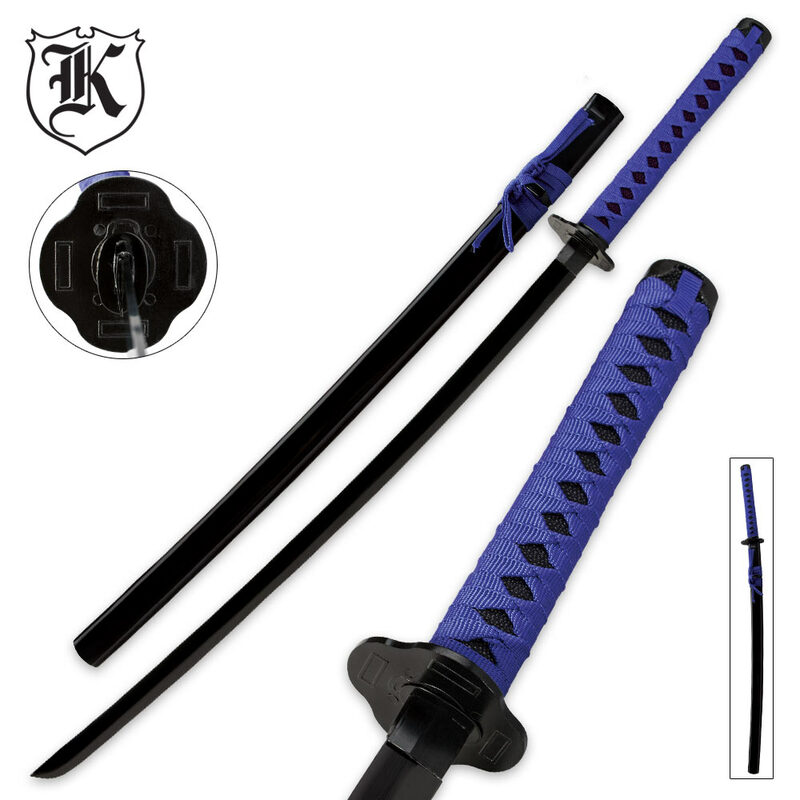 The Battle Worthy Warrior Katana is simple yet elegant and is a classically crafted, quality sword. It is a must-have addition to your martial arts school or your personal gear. The 27-1/2” full-tang blade is made of carbon steel with a sharp-edged finish. 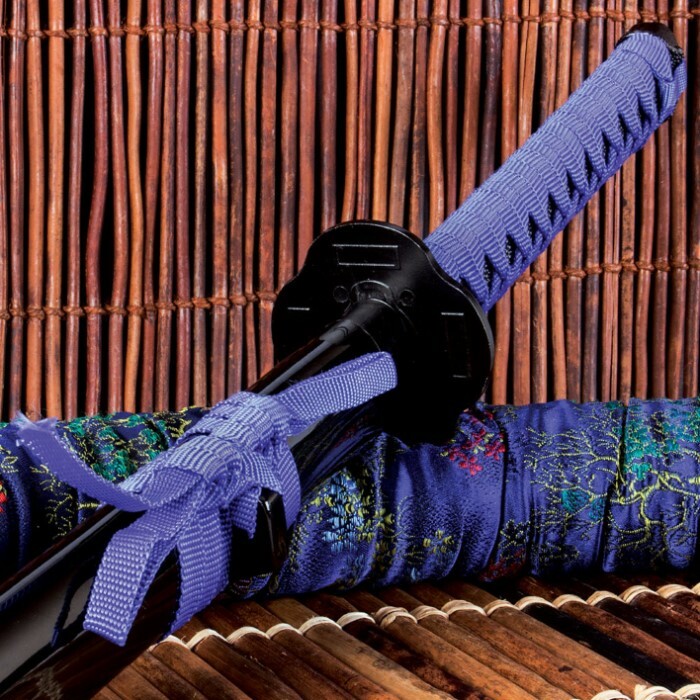 The traditional cord-wrapping on the tsuka is deep purple, which accents the faux-ray skin. 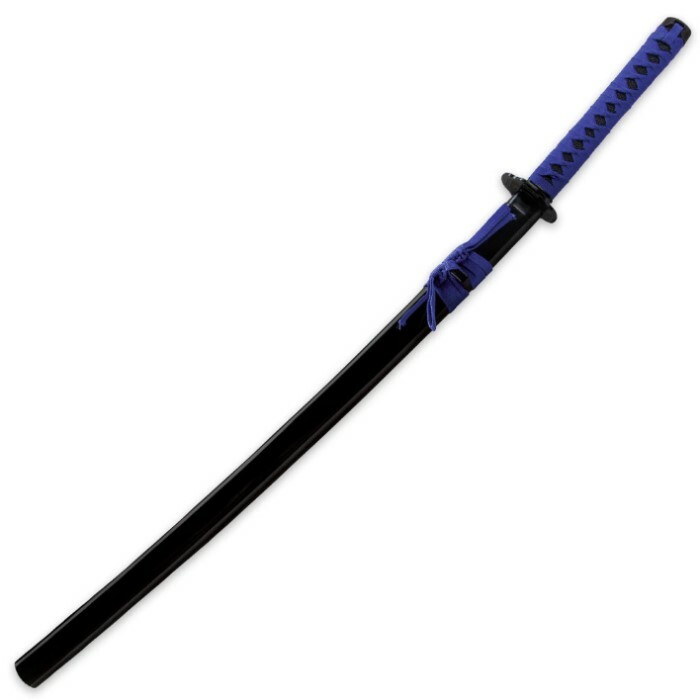 The scabbard is sleek in black-lacquered wood and the cord is deep purple to match the tsuka. I got this for my girlfriend for Valentines day, and she loves it. I'm not much of a katana user myself, but it was very well built from what i could tell.